This is an original production drawing from the Walt Disney Studios production of The Jungle Book (1967). 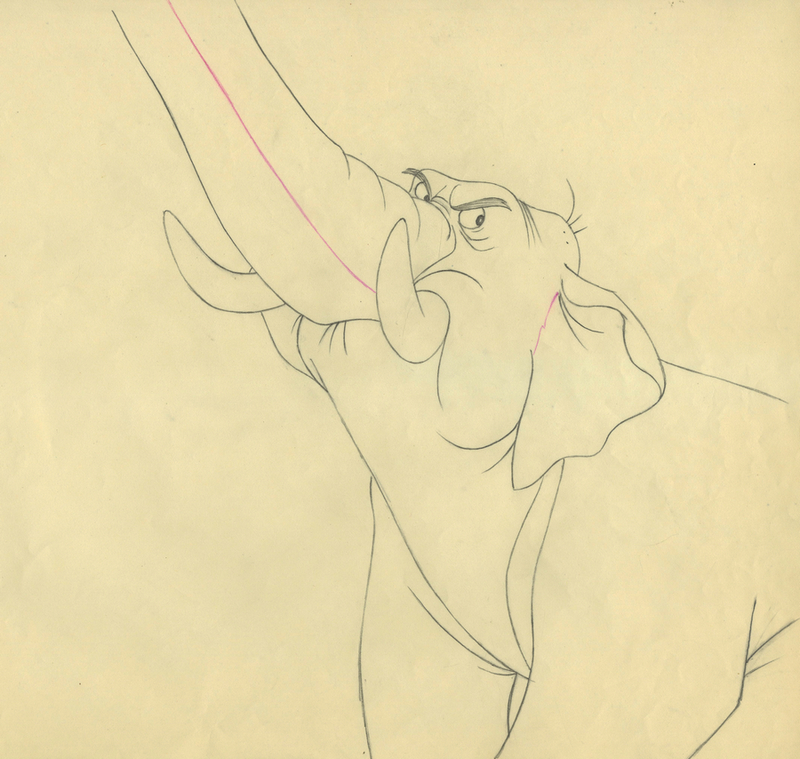 This drawing features Colonel Hathi with his trunk fully extended and his eyes sternly focused on the brigade behind him, and was created at the studio and used during the production of the film. 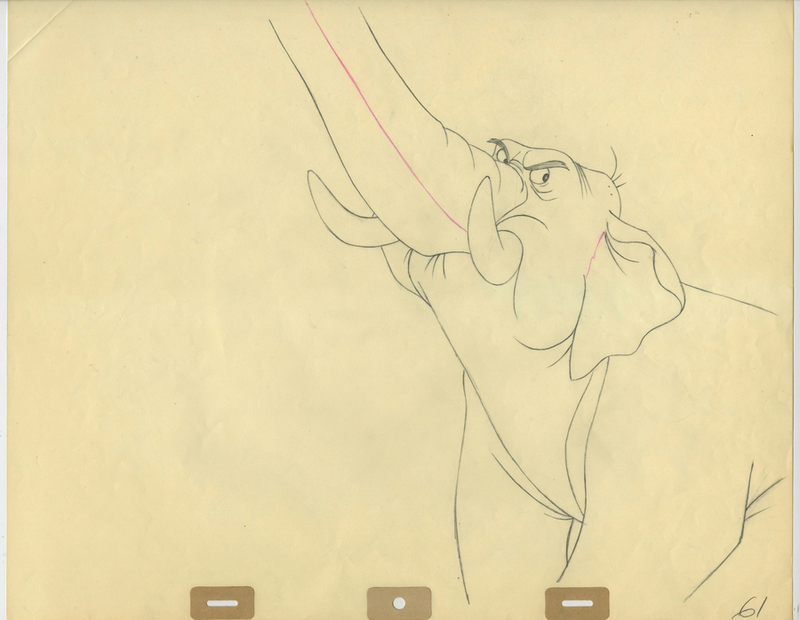 This is from the first scene with Hathi, as he leads Her Majesty's Fifth Pachyderm Brigade of India. The overall measurements of the piece are 12.5" x 15.5" and the image itself measures 11.5" x 10". The drawing is in excellent condition with a small crease dog-earring the upper left corner.